LEXAN SHEET CLEAR 1/4" x 48" x 48"
LEXAN SHEET CLEAR 3/16" x 48" x 48"
Cerium Oxide High Grade Polishing Powder - 4 oz. TVGlass Pilkington MirroView crate: 2 pcs 72"x40"; 3 pcs 60"x40"; 5 pcs 42"x36"
One crate of brand new Pilkington MirroView glass. Designed for concealing TV's and digital displays. Perfect for home or commercial use. Cut and polished to the following sizes:- 2 pcs 72"x40"
Windscreen Repair. Headlight Restoration Kits. Plastic & Acrylic Restoration. Polishing Pads and Foams. DIY WINDSCREEN POLISHING KIT. Windscreen Polishing Kit, wiper blade da. Windscreen Scratch Repair Kit. Headlight Restoration Kits. DIY Glass Repair. Plastic & Acrylic Restoration. This is because of the heat from the polishing on the glass. M14 Thread Backing Pads. 5/8"-11 Thread Backing Pads. Glass Repair. Colorize Leather, Vinyl, Carpet Dye, Rep. Glass Abrasive Discs. This will help you get a better polish and will stop the pad from hardening. • When removing the scratch you want to use the right hand side of the pad with a slight gap under the left hand side. 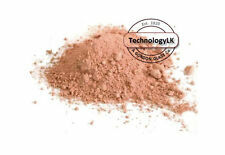 Cerium Oxide. Colorize Leather, Vinyl, Carpet Dye, Rep. 5kg Cerium Oxide Glass Polishing Powder. Cerium Oxide Glass Polishing Powder 3.5µ. Cerium Oxide Glass Polishing Powder 2.5µ. Will it weaken the glass?. 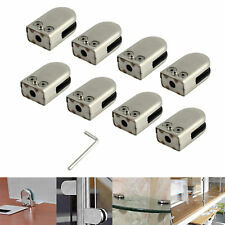 8 X Stainless Steel Glass Clamp Bracket Clip Holder for Balustrade Staircase. Note(for clamp tighten) Insert the glass into the gap and tighten screws with the screw driver. 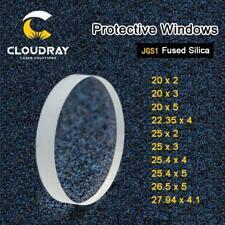 8mm glass thickness,best choose S Size. Headlight Restoration Kits. DIY Glass Repair. Plastic & Acrylic Restoration. This is because of the heat from the polishing on the glass. Polishing Pads and Foams. M14 Thread Backing Pads. This will help you get a better polish and will stop the pad from hardening. Windscreen Repair. DIY Glass Repair. Headlight Restoration Kits. Plastic & Acrylic Restoration. DIY Windscreen Scratch Repair kit, Windscreen Scratch Remover, Auto Glass Polish. This is because of the heat from the polishing on the glass. LEXAN® polycarbonate sheet has key properties such as excellent impact resistance, temperature resistance, and formability. LEXAN® polycarbonate sheet is the standard grade of LEXAN® sheet for protective glazing and a wide variety of other general use applications. DIY Glass Repair. Our DIY Plastic and Acrylic Restoration kit is designed to be used with an electric drill at 1000rpm. Polishing Pads and Foams. Plastic & Acrylic Restoration. Micro Fibre Cloth. DIY Plastic and Acrylic Polishing kit. DIY Glass Repair. Headlight Restoration Kits. Plastic & Acrylic Restoration. This is because of the heat from the polishing on the glass. Polishing Pads and Foams. This will help you get a better polish and will stop the pad from hardening. Our products are in use at many of the larger projects such as, the HK airport and HK Disney Land. New 45mm and 50mm diamond coated hole saw. (1 piece each size, total 2 pieces). Suitable for use in drill hole on glass, marble, tile or granite. DIY Glass Repair. Polishing Pads and Foams. Plastic & Acrylic Restoration. This will help you get a better polish and will stop the pad from hardening. • When removing the scratch you want to use the right hand side of the pad with a slight gap under the left hand side. Gordon Glass optical grade cerium oxide can produce high quality scratch free surfaces with very low levels of surface roughness. Gordon Glass Optical grade cerium oxide suspension system ensures soft settling and no hard caking after extended static periods. 304 Stainless Steel Drop-In Deal Tray 12" (w) x 10" (d) for Gas Stations Banks. We provide you with this 304 stainless steel cash window drop-in deal trays, which is beautiful in appearance and is forged from high-quality steel. LEXAN SHEET CLEAR 1/2" x 48" x 48"
【 Simple to Clean 】 - All steel material, the surface is polished, brushed, coated, layered process to ensure smooth surface, not easy to stain, easy to clean. 304 Stainless Steel Drop-In Deal Tray 12" (w) x 10" (d) for Gas Stations Banks. Smooth surface The multi-process forging smooth surface, waterproof and anti-staining performance, only need a clean rag and a small amount of water to remove most of the stains. 304 Stainless Steel Drop-In Deal Tray 12" (w) x 10" (d) for Gas Stations Banks. These are installed by many of the window and door factories. A common size for the industry. Colorize Leather, Vinyl, Carpet Dye, Rep. Windscreen Repair. Will it weaken the glass?. Headlight Restoration Kits. Plastic & Acrylic Restoration. Scraping Blade. This is because of the heat from the polishing on the glass. The box shows signs of wear. SEE PHOTOS. Fits 1/4" to 1/2" (6 to 12 mm) Thick Glass. 304 Stainless Steel Drop-In Deal Tray 12" (w) x 10" (d) for Gas Stations Banks. Smooth surface The multi-process forging smooth surface, waterproof and anti-staining performance, only need a clean rag and a small amount of water to remove most of the stains. Smooth surface The multi-process forging smooth surface, waterproof and anti-staining performance, only need a clean rag and a small amount of water to remove most of the stains. 【 Simple to Clean 】 - All steel material, the surface is polished, brushed, coated, layered process to ensure smooth surface, not easy to stain, easy to clean.